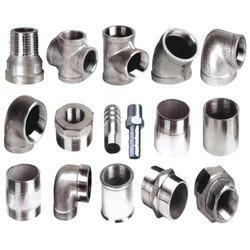 Exporter of a wide range of products which include pipe fittings, equal tee and duplex pipe fittings. Ever since our foundation stone has been laid down, we have been facilitating clients with a broad series of optimum quality Pipe Fittings. Our skilled professionals design these fittings in accordance with set industry guidelines and norms, using optimum quality metals and latest amenities. 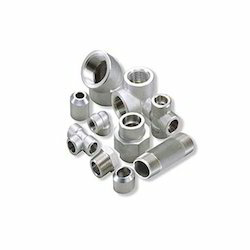 In order to ensure fine finish standards of these fittings, we check these fittings on defined quality parameters. Price range may vary from Rs 100-20000 Per Piece. On offer from us is available a wide series of precisely engineered Equal Tee for our esteemed patrons. Our products are manufactured by skilled professionals in accordance with the set industry norms and standards. Moreover, before final dispatch, we check each product thoroughly to gauge any kind of finishing defect. Price range may vary from Rs 500-3000 Per Piece.